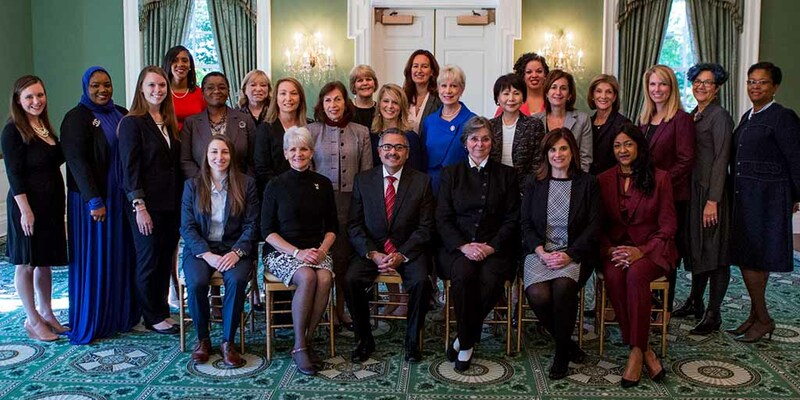 Harrisburg, PA – Governor Tom Wolf today announced the appointment of 13 dedicated business, civic, and community leaders to serve on the Pennsylvania Commission for Women. The new commissioners, along with 20 returning commissioners, were sworn in by Secretary of State Robert Torres at the Governor’s Residence. For more information on the Commission for Women, contact women@pa.gov or 717.831.3224.